Football season is just around the corner, and that means it is time to tailgate! 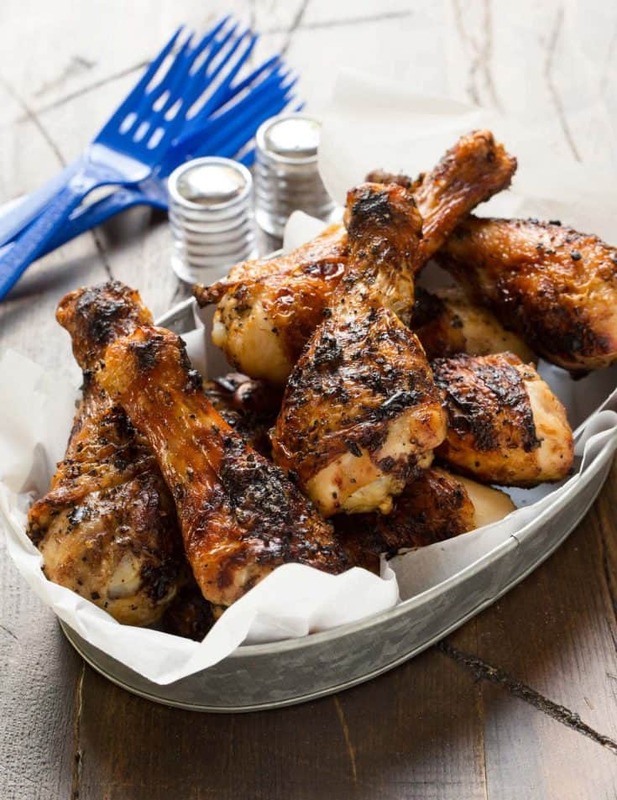 We are proud to partner with Gold’n Plump® to update your menu with these Beer Marinated Chicken Drumsticks. Fall, football and tailgating. Three of my favorite things are about ready to kick off and while we are still hanging onto summer, we can’t wait for football season. Of course when it comes to tailgating, the food is the star of the game. So this year we challenge you to take your tailgate menu to the next level by adding these Beer Marinated Chicken Drumsticks to your menu. And once you do, these chicken drumsticks will be making a regular appearance on any menu – tailgate or not. 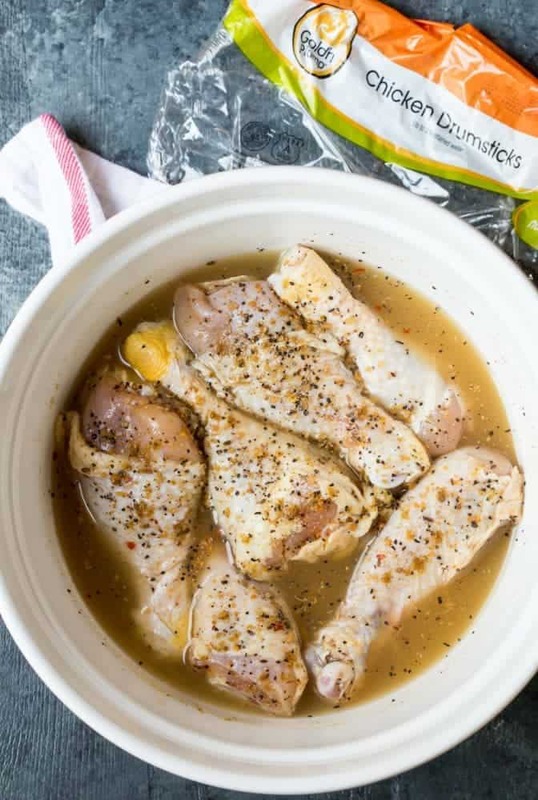 I’m a big fan of using recipes with just a few ingredients and because this marinade is made with just 5 ingredients, quality of the meat is of the utmost importance. I’m picky about the chicken I buy so you can only imagine how happy I was when I learned that Gold’n Plump is now certified by the American Humane Certified farm program. The fact that the brand is transitioning its products No Antibiotics-Ever lis the icing on the cake. Beer Marinated Chicken Drumsticks will be the star of the show at your next gathering. Being so flavorful, no sauce is needed which makes prep and clean up a lot easier. Who wants to haul a bunch of condiments when you don’t need to? Mix up some Blood Marys, an easy side, some cookie bars, and your menu is complete! And when your tailgate menu is this delicious, even if your favorite team loses, the win is still yours. Make Ahead Tip: Grill the chicken drumsticks ahead of time at home, refrigerate until ready to use and simply reheat on the grill at the tailgate! Season the chicken drumsticks with one tablespoon of steak seasoning, and cumin powder. Place in a deep bowl and add orange juice and beer. Marinate for at least 30 minutes or up to 24 hours. 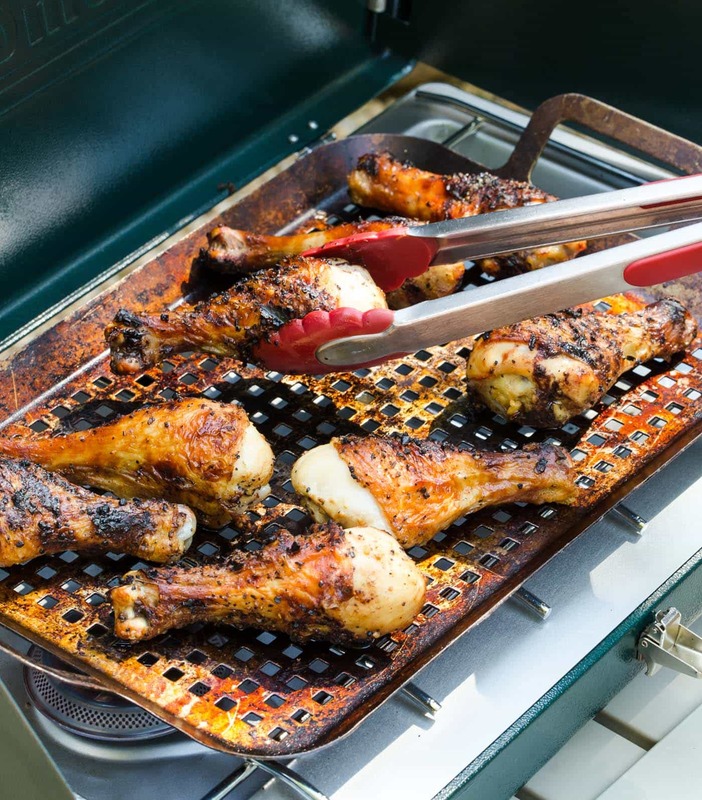 Remove chicken drumsticks from marinade and preheat grill to 500ºF. Drizzle chicken with olive oil and season with remaining tablespoon of steak seasoning and cracked pepper. Squeeze juice of one lime over top. Place chicken drumsticks on grill skin side down for 5 minutes. Turn heat down to 400ºF and then cook drumsticks for an additional 20 minutes turning every 5 minutes until golden brown. Disclosure: This post was sponsored by Gold’n Plump®. All opinions are my own. Thanks for supporting the companies that make Garnish with Lemon possible. I think the drumstick is better than the wing. Much more meat to enjoy! Could this be cooked in the oven? On what temperature would you recommend. Hi Margaret, I have never done them in the oven but I’m sure it would work just fine! I would bake them at 425 so the skin gets crispy for about 35 minutes (or until cooked through). Good luck and let me know how they turn out!